If you’re a long-term reader of this blog, you know how much I LOVE my coffee. Over the course of the years I’ve bought countless different gadgets such as roasters and coffee machines, french presses and whatnot. But what you may not know is that I’m also big on tea. This shouldn’t come as a surprise tho. I’m all about healthy living. Today I want to give you a quick rundown on how to select the best tea and coffee. Let’s get right into it! This applies to coffee. In order to get the best flavour and taste in coffee, it has to be fresh and recently roasted. The roast date, therefore, has to be within one to two weeks from the current date. This will ascertain the freshness of the coffee and will guarantee that you have selected good quality coffee. The roast date is normally printed on the bag of coffee which you can easily check when making a purchase. If you can not spot the date you may talk to the barista who can shed some light on the date. If he or she too does not know the date, consider the option of buying the coffee elsewhere. There are many tea and coffee enthusiasts who are passionate about their drinks and actually do reviews about them. Checking out their blogs, articles, sites or YouTube channels can provide some insight on the how to select the best coffee or tea, very meta, I know. Moreover, they provide extra information, on, for instance, the type of tea that suits you best depending on your preferences or flavours. Tea has a wide variety to choose from, for instance, green tea, oolong tea, white tea and so many others. These sources of information will give you a glimpse into the various types of coffee and tea and will help you choose the best that suits you. Tea and coffee have various advantageous benefits to our bodies and are actually quite good for our health. For instance, coffee contains caffeine which helps an individual stay alert especially in the morning hours at work or when a person is feeling groggy during the day. Moreover, coffee increases the body’s metabolic rate, which will enable you to lose more weight if you are looking to keep fit. Therefore, if one of your health objectives is losing weight or staying alert, then you may consider taking coffee. On the other hand, tea comes in various types, such as green tea which has a lot of antioxidants that boosts your immunity. Therefore, you may select the type of coffee or tea based on your health needs. 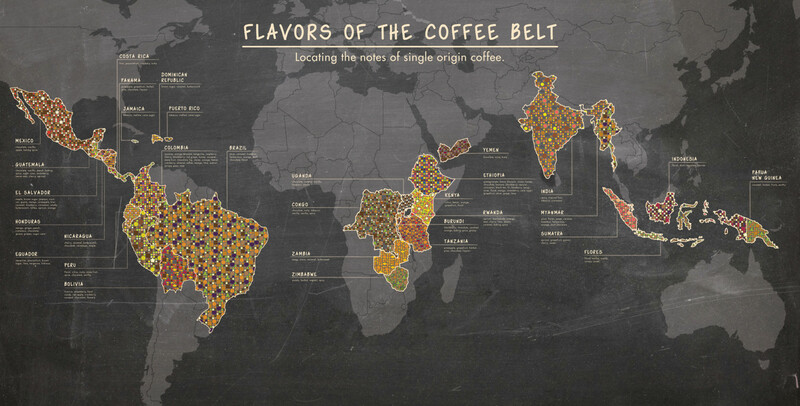 Tea and coffee originate from various parts of the world, on an area known as the “Coffee Belt” When selecting, always check the packet or inquire on where the origin of the same is. This is based on the fact that an indication of the origin of the product on the bag will ascertain that the vendor is genuine and that the tea or coffee is of good quality. Some sellers indicate the country of origin, including the farm in order to create a sense of accountability and openness. Always check for this when selecting tea or coffee so as to ensure you have made a good choice. There are different types of tea and coffee and each has a unique flavour. Tea, for example, has different types; white oblong, green and oolong. Each type has a specific flavour, black tea being the strongest flavour with white tea being on the other end of the spectrum. Both tea and coffee also have added flavours, like mint, herbal or other fruit flavours. You should, therefore, choose the tea or coffee you want based on your flavour preferences.